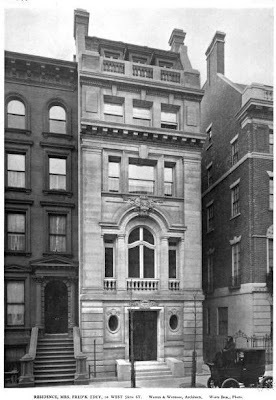 The Frederick and Birdsall Edey residence designed by Warren & Wetmore c. 1901 on West 56th Street in New York City. Click HERE to read the Landmarks report on the Edey residence and HERE to see the house on google street view. Photo from Architecture, 1903.